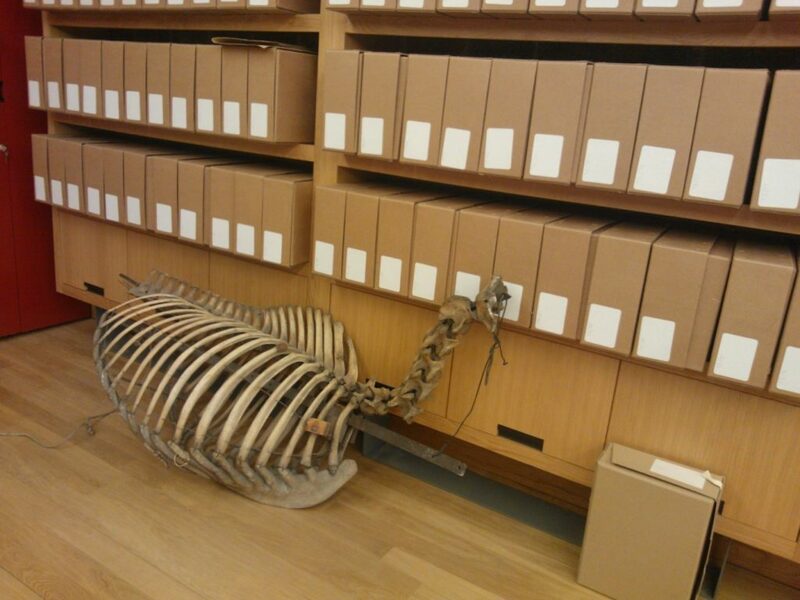 Our support assistant Kay Bryant shares stories from some of the oddities from our collection! 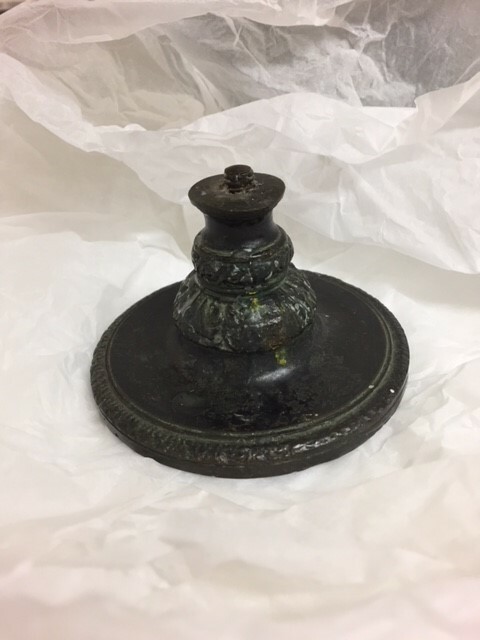 Over the past few months, I have had been adding information to the catalogue about some of the more unusual items in our collection. These include items such as a paper embossing press used by the School in the early 1900s, a horse skeleton, a variety of jugs and candlesticks used as still-life ‘props’ and a beautiful inscribed silver plummet which was presented to Sir James Fleming, Chairman of the Board of Governors of GSA in 1898. 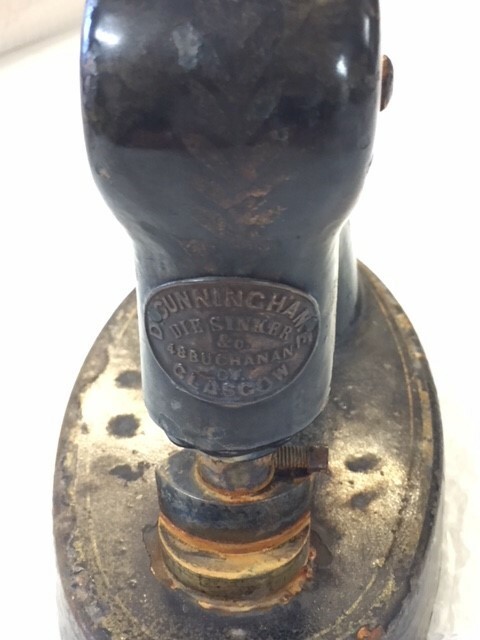 The paper press, made by D. Cunninghame Die Sinkers and Co., still leaves a clear (if a bit rust coloured) impression of the Art School emblem on paper. What I like about it is the makers badge on the front, proudly declaring the company name and address, 48 Buchanan Street, Glasgow. 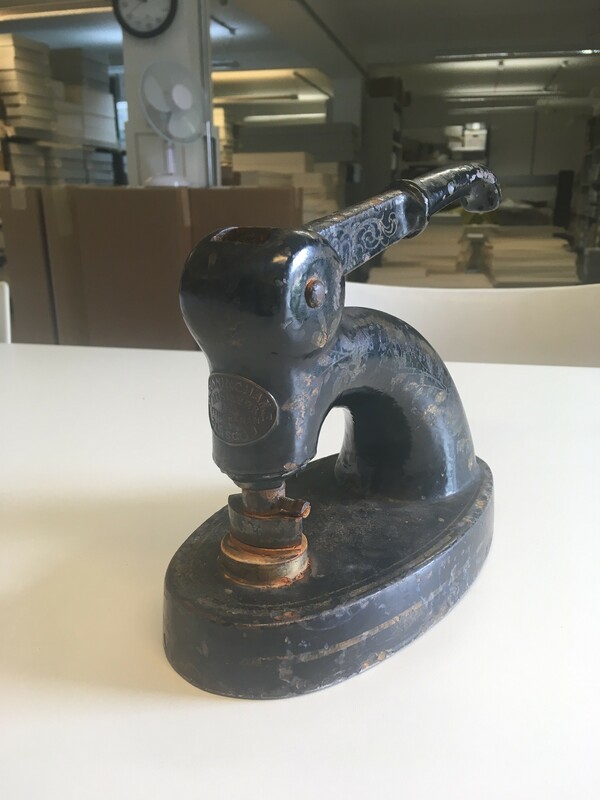 The Post Office Directory for 1907/8 lists the various items David Cunninghame manufactured and noted that he was the sole agent for ‘parallel motion endorsing machines’ – obviously something to boast about back in the day! 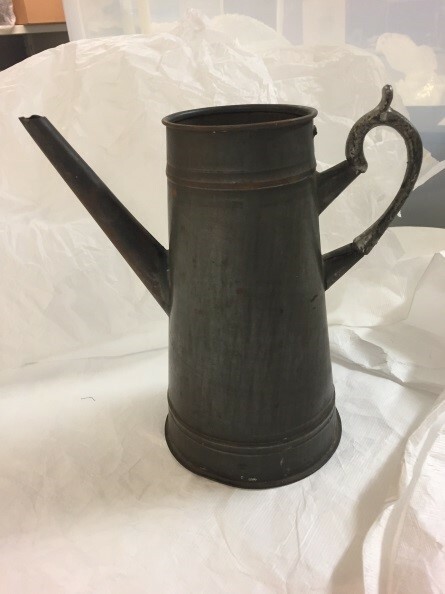 The jugs and candlesticks almost all have traces of red painted numbers relating to the early handling collection loan scheme, and it is fun to think that many of these everyday items have gone on to take centre stage in some of the paintings produced at the School over the years. 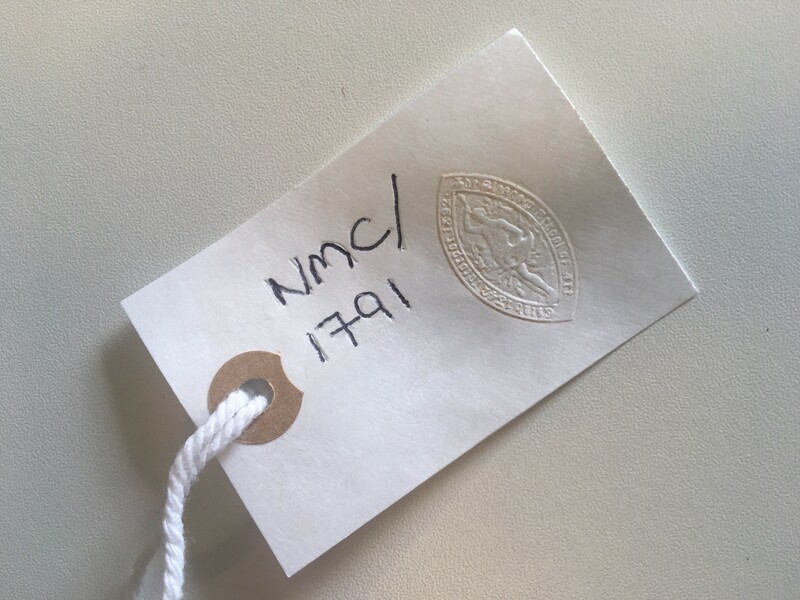 Examples of items that were part of the handling collection loan scheme including NMC/1803 and NMC/1807. 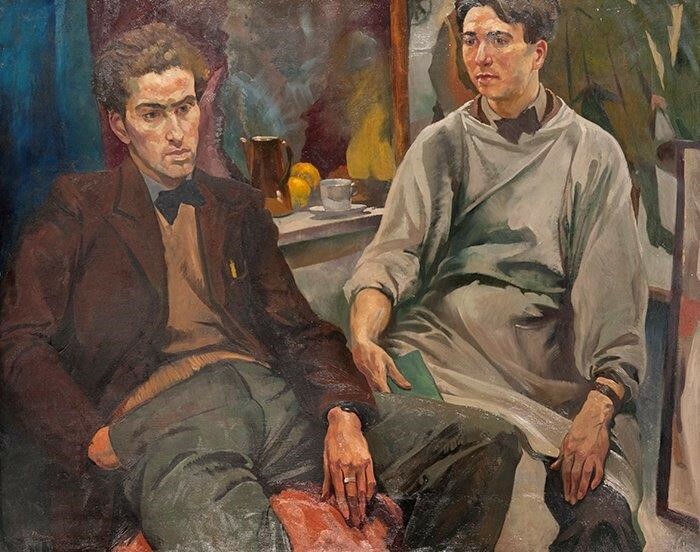 A good example is the jug that appears in a picture in the background of Ian Flemings double portrait of Robert Colquhoun and Robert McBryde, “The Two Roberts”, 1937. This wonderful picture is currently on loan to the new Kirkcudbright Galleries for their “Stars of Scotland” exhibition, which runs until 23 September – look out for it. 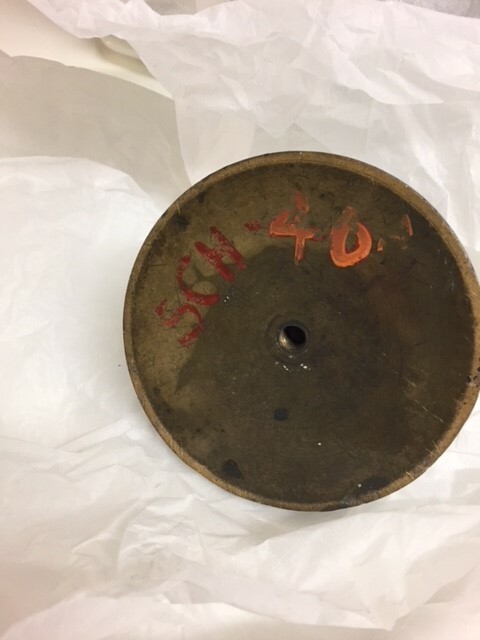 Now that this material is catalogued in more detail, the Archives and Collections team hope that it will be more frequently used by students. It will be interesting to see if the same ‘props’ appear in and inspire future artworks! 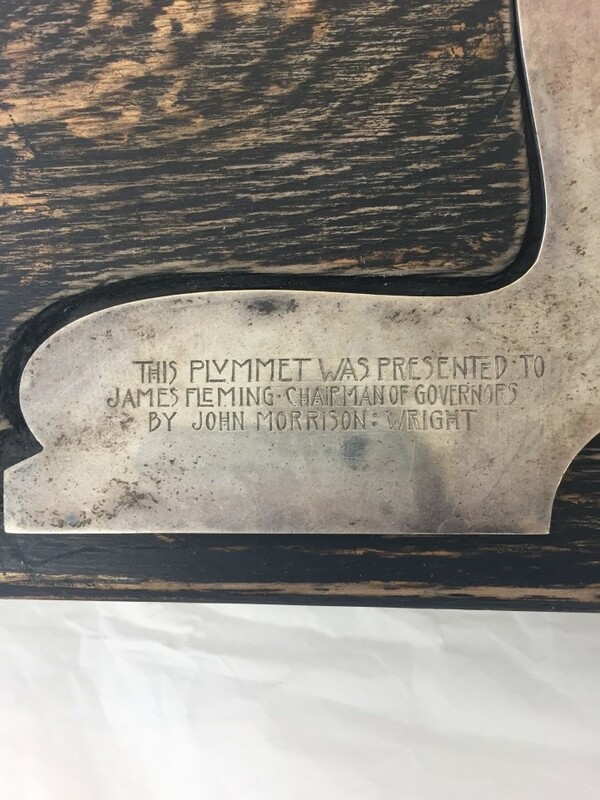 Probably my favourite item from my cataloguing list, however, is the silver ‘plummet’ (vertical reference line, or plumb-line) which was, as its inscription records, “presented to James Fleming, Chairman of Governors by John Morrison Wright, on the occasion of the laying of the memorial stone of the Glasgow School of Art, May 25 1898.” Made by R&W Sorley, and bearing a Glasgow hallmark, the piece was donated to the Art School by Fleming’s great niece in the 1980s. It is a simple, yet beautiful object, but it is the description of the stone laying ceremony that really caught my eye. The plummet was one of several ceremonial items used during that day. 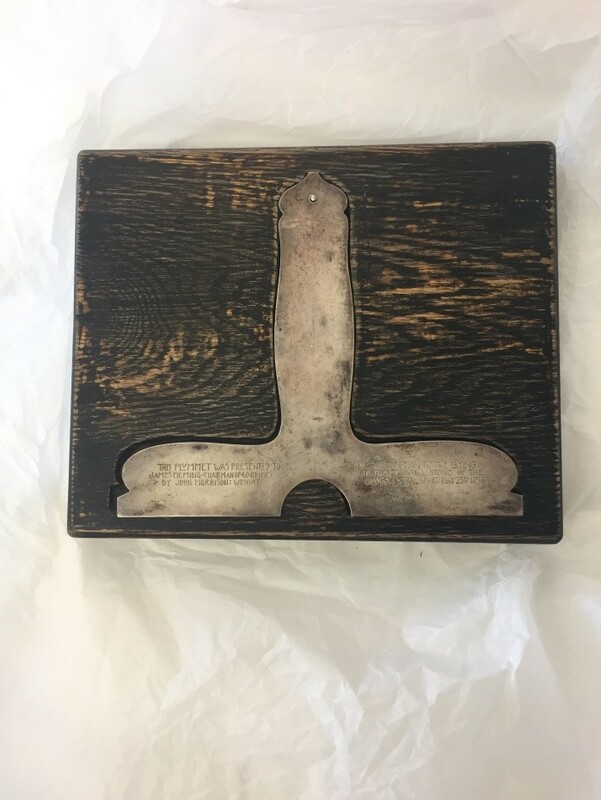 A silver trowel and an ebony mallet mounted in silver (both also made by R&W Sorley) were given to Sir Renny Watson of the Bellahouston Trust and the Lord Provost. The three men then used the tools to lay the memorial stone which contained a ‘time capsule’ jar placed in the cavity of the stone, containing copies of the days newspapers, the School’s annual report, the conditions for the competition to design the new School, a history of the School and several other documents. Following many flowery speeches (all recorded in the contemporary newspaper account) there was a buffet lunch provided for guests, with corned beef, lobster, crab and foie gras sandwiches, ‘cakes various’ and fancy pastries, all washed down with Heidsieck 1892 champagne…they knew how to party! More information about the day’s events can be found pasted into in the Governors Minutes covering the dates March 1895 – June 1901. These are available to be consulted in our Reading Room – email archives@gsa.ac.uk if you’re interested! (Archive Reference: GSAA/GOV 2/4).